The purpose of this proposal is to educate visitors about the transformation of the locality through the mining of coal. 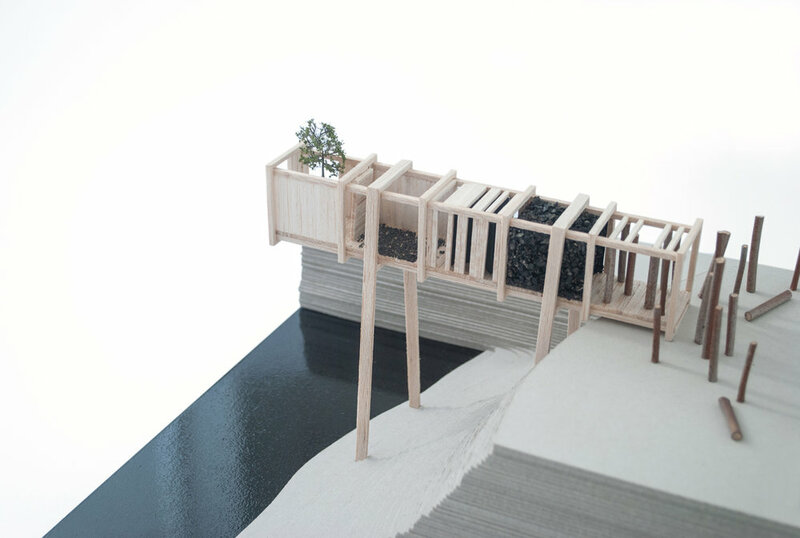 The cabin contains a series of experiential spaces with the aim of raising understanding about where this mineral comes from, how it is formed, the process of its excavation and use, the impact of industry and the potential for regeneration. 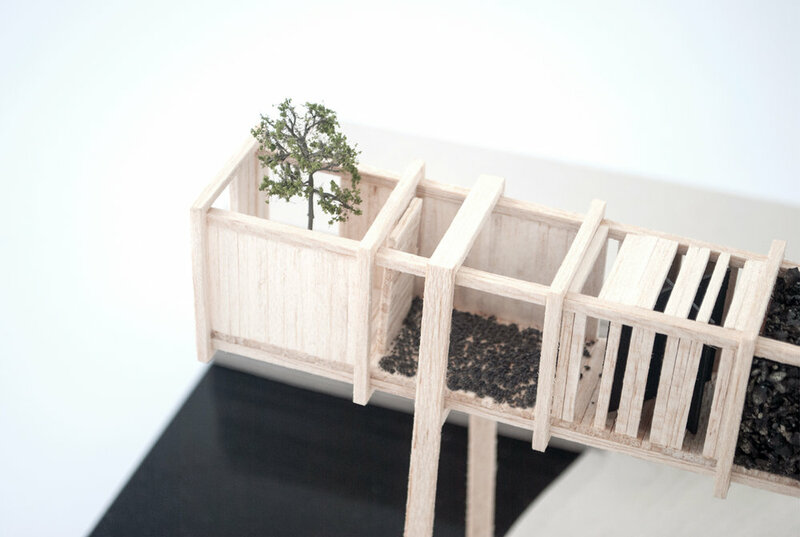 Essentially it aims to allow users to contemplate on the fragility of nature by focusing in on the microcosm of this specific site and its history. 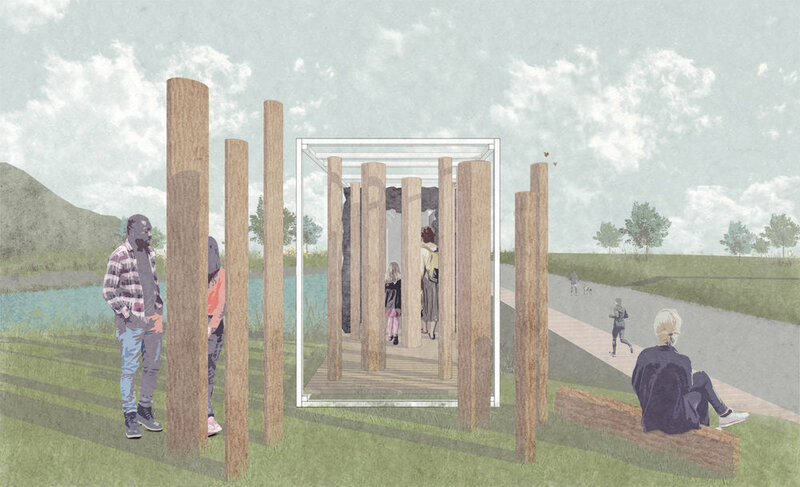 The experiential zones of our installation are contained within a simple structure formed of telegraph poles, scaffolding, timber and coal. This is informed by the industrial conveyors and mining structures that once stood on the site, it perches on the edge of the elliptical site and hovers above the edge of the lake as the mounded ellipse falls away to water. 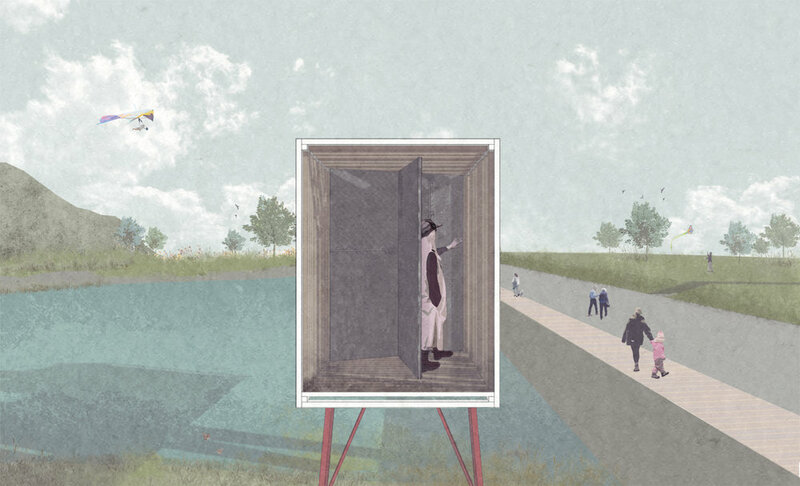 Much like a Cartesian grid has provided a framework for the design of the park and the reintroduction of nature, the gridded structure of the cabin frames the experiential zones.